If you are anything like me, you don’t expect to see bookkeeping and fun in the same sentence but award winning entrepreneur Lisa Newton can change your perceptions and prejudices. When I spoke to Lisa here enthusiasm for the business was infectious and I found myself looking at my own paperwork in a new light! 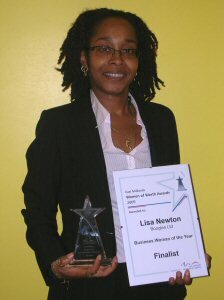 Lisa set up Boogles Ltd, her award-winning bookkeeping company in 2004, in the same month that she graduated from university, age 23 with £150 and a lot of energy! Lisa put in £100 from her overdraft and her mum contributed £50. Now in it’s 6th year of trading, Boogles has diversified into other markets – including legal cashiering, creating a maths game for kids, bookkeeping training and Lisa is the author of a series of books featuring Boogles, the funky calculator who goes in and rescues many a business owner from their own books. Lisa has looked at the accounts of many companies and has seen the good, the bad and the ugly. Working on-site, helping businesses with their money and cashflow has given her a unique insight into how different businesses operate, different management styles and what works and what doesn’t. Money, budgeting and how to survive on a shoestring is her passion. 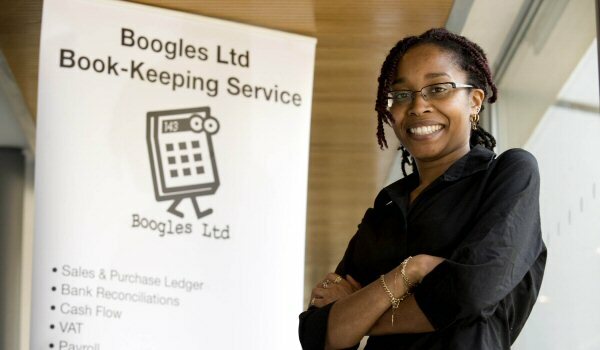 Boogles, the Bookkeeping Business is in the process of being franchised. Her intention is to create a global brand and to then help others do the same. I asked Lisa to talk a little about herself and why she started Boogles. Most bookkeepers stay small, being self-employed with a small client base. What made you think differently? So, tell me a bit about Boogles. “At Boogles we work with small businesses / owner managers who have a problem with their paperwork and receipts. What we do is we go in and sort out any problems by implementing our Boogles bookkeeping system. This means that they don’t have to worry about sorting paid/unpaid invoices, chasing debt and the hundreds of other mundane financial issues that can swamp small businesses. Managers then have more time to work ON the business. 7. Be different… who says bookkeepers are boring?! We’re not boring!! 10. Be humble. No-one likes a show-off.